Nestled above his retail store Cherry Bomb Toys, B. Woodward opened the Museum in response to the loss of many family-oriented attractions in downtown Victoria. Woodward has created a space for adults to reminisce and re-discover the toys and games that informed their childhoods and a chance for today’s youth to take in the rich history of their favourite brands. The Museum provides a snapshot of some of the most recognizable pop-culture franchises of the last century, including a 1920s Meccano set, a copy of an original Star Trek script, and merchandise from The Muppets, He-Man, Star Wars, Battlestar Galactica, LEGO, and others. The collection is a mélange of Woodward’s personal collection and donations made by friends, neighbours, and strangers alike. The vast and colourful collection makes an impact in the modest space. Items are rotated to give repeat visitors to the Museum an opportunity to discover something new. The Museum anticipates relocating to a larger space at some point in the future. For the time being, visitors will enjoy not only the toys but the heritage building, constructed in 1910, that houses the Museum. 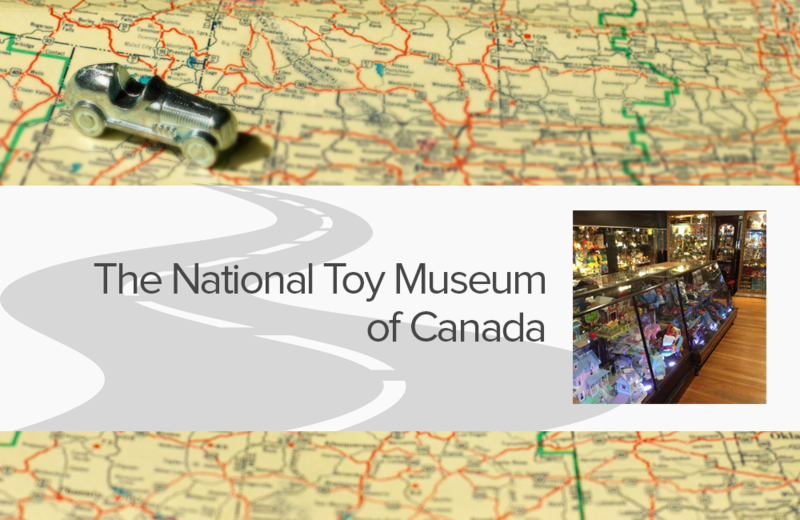 If you’re a fan of geek culture, be sure to save time for the multiple comic books shops, gaming stores, and board game cafes that reside within walking distance of the National Toy Museum of Canada. The 2017 edition of Ottawa Comiccon is coming up fast. If this year's special guest list is any indication, Ottawa Comiccon's reputation as a premier event is reaching far beyond city limits. The Pinball Hall of Fame is a 10,000 square-foot facility in Las Vegas, Nevada housing one of the largest collections of working pinball machines in the world.